Dr. Anita Nigam is world acclaimed celebrity and multiple prestigious award honour winning Vedic astrologer from India. She had a long journey in the field of Numero-Astrology with over 27 years of experience, which enriched the lifestyles of millions of individual across the globe by her astrological guidance. Dr. Nigam is pioneered in the field of Sports Astrology back in early 1990’s predicting future sporting outcomes of Cricket, Soccer, Hockey, Rugby and Lawn Tennis. 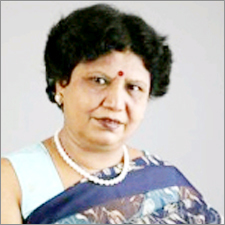 She was the first female Astrologer from India who stepped into world of Internet with Astrological services in 1998. Dr. Anita Nigam did her M.A. in Anthropology from Lucknow University in 1979 and later her inclination towards Astrology got her to pursue Astrology in scientific way and did Jyotish Praveen and Jyotish Visharad from Indian Council of Astrological Sciences, Delhi Chapter. Over the years Dr. Nigam had done many accurate predictions on national and international events, natural calamities, wars, bollywood and hollywood personalities, political personalities, predicted uncounted correct sports perditions. She has been featured in many national and international televisions, newspapers, online newspaper, blogs, radio for various predictions and astrology talk shows. Quami Awaz (Middle East) etc. Talk Radio 702 (South Africa’s Famous Radio Channel) etc. Dr. Anita Nigam have specialization in predicting on whole life predictions, relationship predictions, Marriage and match making, career predictions, progeny prediction, prediction the basis of current time, higher education predictions, mundane predictions, business and start-up predictions etc. Dr. Nigam was and currently associated with astrology portals like astroyogi.com, astrospeak.com, ganeshaspeaks.com, truthstar.com and others.